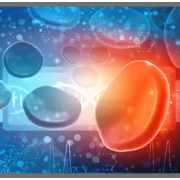 Clinical Hematology laboratories are primarily focused on measuring whole blood components such as white blood cells, red blood cells, and platelets, as well as the concentration of hemoglobin in the blood. Hematology includes the study of etiology, diagnosis, treatment, prognosis, and prevention of blood diseases. Hematology instrumentation is capable of accurately counting each of the various blood cells as well as differentiating among types and characteristics of each component.